My name is Alessandro, I am 29 years old and I come from Genova in Italy. At IDC I do my long-term EVS for 12 months, starting in September 2017. Long before coming here I studied architecture in my hometown. 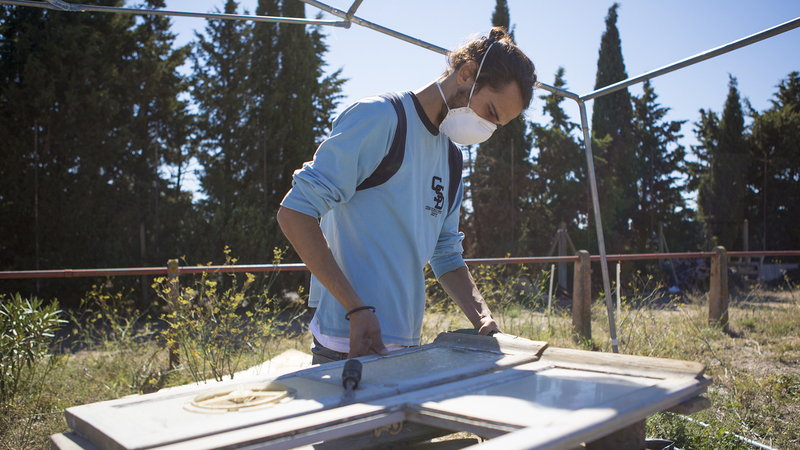 I also did an internship as a volunteer with a Spanish architect who is building with recycling material. We did even go to the Venice Biennale and participated in an architectural competition. I was also doing workshops with immigrants in Italy where they could build their own furniture out of wood. I decided to come here because I have the opportunity to build something on my own. 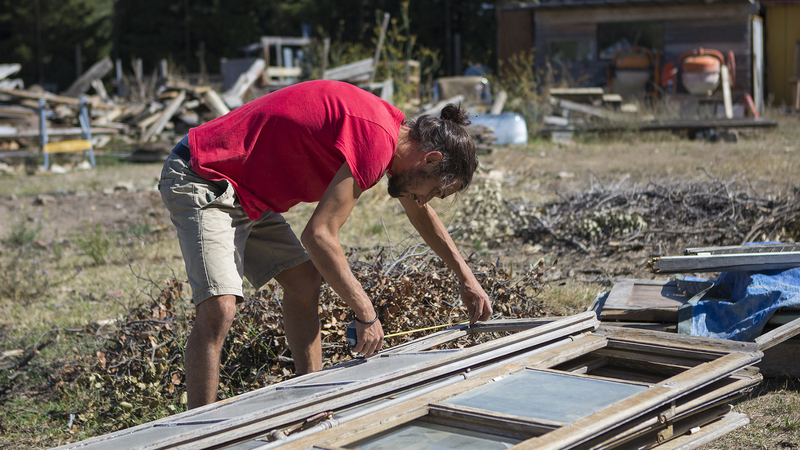 My first task here is to build a greenhouse with the help of other volunteers. I cannot just draw my project but also follow the whole building process and work on my own drafts until it is finished. Moreover, I am interested in sustainability. This is the first time I live in an isolated place. But it is not a problem for me, because I can be more concentrated on my project without any distractions. Furthermore, I really like to work with other volunteers and make them believe and become passionate about our common project. My aim for my time here is to gain more skills and knowledge, so I can show people that I am able to do sustainable building projects. This way I might be able to find clients and jobs on my own and maybe I will be able to open my own architecture studio.